Class action practice is a high-stakes game, with the court's class certification order often a "lethal force" that, regardless of the merits of the lawsuit, "bestows extraordinary leverage" upon plaintiffs and places substantial pressure on defendants to settle. 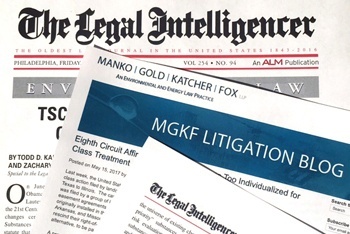 (See Oscar Private Equity Investments v. Allegiance Telecom Inc.) Notwithstanding the power of the class certification decision, however, the federal courts, including those in the 3rd Circuit, have historically construed Rule 23 of the Federal Rules of Civil Procedure liberally in plaintiffs' favor. Further, as a result of the U.S. Supreme Court's admonition against merits-based inquiries in its 1974 decision in Eisen v. Carlisle & Jacquelin, district courts have, until recently, resisted an in-depth review of the plaintiffs' claims and the likely evidence to be introduced at trial at the class certification stage, concluding that plaintiffs need only make "some showing" that the requirements for class certification are satisfied.